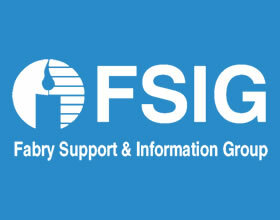 In a showing of mutual respect and appreciation, Fabry Support & Information Group (FSIG) signed an Advocate Partnership Agreement with ThinkGenetic. “We are truly thrilled to partner with ThinkGenetic and Dawn Laney, MS, CGC. We know access to this cutting edge technology will be of great benefit to those suffering from rare diseases like Fabry as well as the general public.” said FSIG founder and Executive Director Jack Johnson. FSIG was started in 1996 as a “kitchen table” support group formed by supportive family members and two patients of Fabry disease, an inherited disorder that results from the buildup of a particular type of fat, called globotriaosylceramide, in the body’s cells. FSIG was formed with the hope that their particular understanding of the disease, combined with experience at gathering information and working with doctors could benefit others. Since FSIG is a continually growing and expanding organization they are constantly looking for new opportunities to assist in improving patient’s lives. Enter ThinkGenetic. ThinkGenetic is a new cutting-edge way to empower patients who want to know about possible genetic causes for their medical issues or obtain real-life answers to their questions about the impact of their genetic diagnosis on life. Powered by IBM Watson™, ThinkGenetic will help users understand what questions to ask doctors in order to improve their medical care. 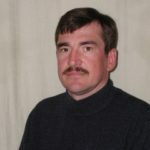 “FSIG and its founder Jack Johnson have played a critical role in educating and supporting the Fabry community for over twenty years. 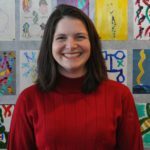 We look forward to our partnership as an innovative way to help FSIG reach more people living with Fabry disease and provide them with personalized answers to their questions as well as directing them to FSIG’s amazing resources.” said ThinkGenetic founder and genetic counselor Dawn Laney, MS, CGC. ThinkGenetic and FSIG formalized their partnership to promote greater awareness of available advocacy resources in the field of genetic health and to advocate for people with genetic diseases and disorders.